Brand new good for you. 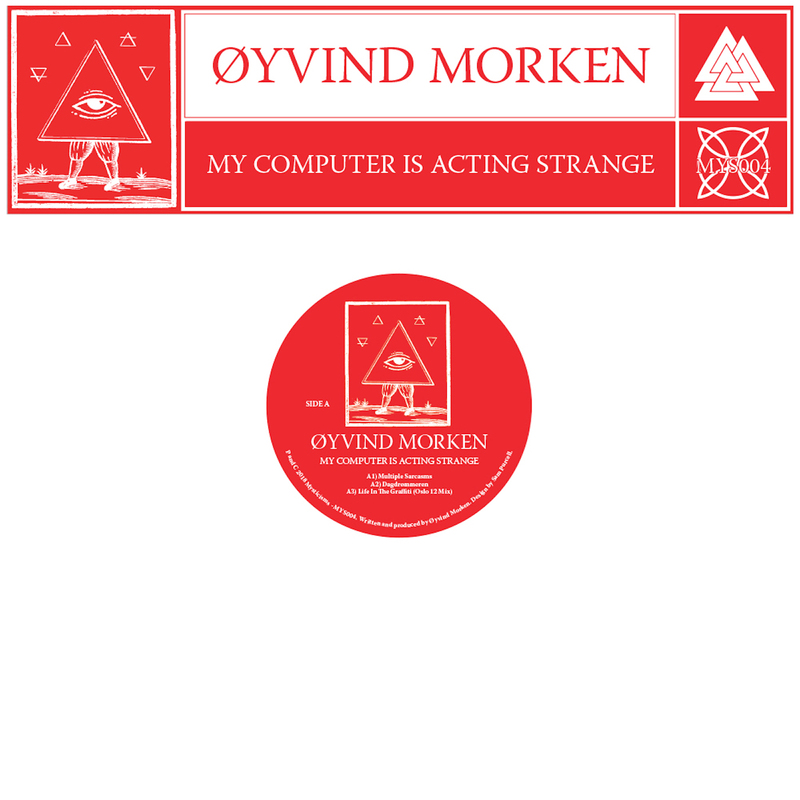 Here’s a track taken from the forthcoming 5 track EP by Øyvind Morken on the Mysticisms label. Let’s talk label first. Mysticisms is really shaping up within the framework of its owner and curator Piers Harrison. It’s managing to combine his love of bass, Garage, techno and all things deep. So he’s nailing that. Check their Bandcamp here for more. Piers is also a quality DJ. Check his most recent mix for us here. So onto Øyvind. I don’t think he’s the type of guy that sits comfortably with flattery so lets just say he’s got music in his bones. He’s releases stuff alongside L.I.E.S, Full Pupp and like Piers likes his palette of music broad. This five tracker really delivers. ‘Multiple Sarcasms’ bangs, ‘Dagdrõmmeren’ goes deep, ‘Life In The Graffiti’ makes me want to go down the disco now, ‘Flying Too Close To The Sun’ is the most-closely aligned to that melodic Scando sound and last track ‘My Computer Is Acting Strange’ goes deep and fx heavy with loads of modulation on stuff and pranging out of noises. It’s the sort of record you’d buy if you heard one of the tracks on a record but here you get five. Quality through and through. Oh and yeah – he’s a proper DJ too. Nice. You can buy this EP now on Bandcamp. Vinyl out soon.